Let this Christmas shine with your hand created masterpieces. So, put on your crafty-pants and get going for these amazing DIY ideas. 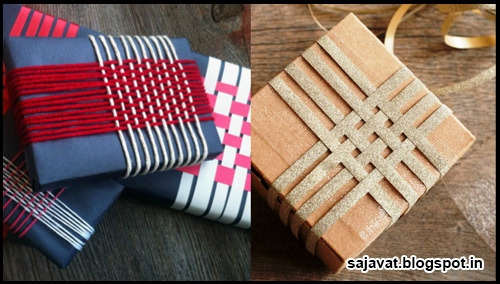 We bring to you 10 best DIY craft and delicacies idea inspired by our Indian bloggers. Take a look! Are you planning to ditch market decor products? Then, try this easy to make votive. 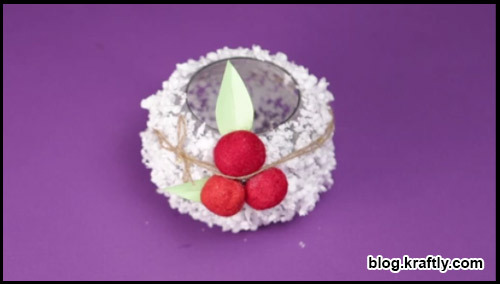 All you need is a glass bowl, thermocol and some decor goodies to create this masterpiece. Decorate your home this season with this votive. Whether you celebrate Christmas or not, this votive will definitely add beauty in your home! Wish to create snowmen without using snow? Then, here’s a perfect craft idea for this Christmas. 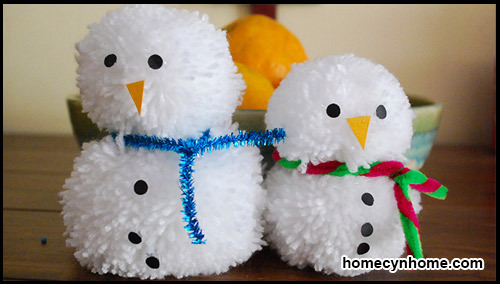 Use some wool and pom-pom making tool, and carve amazing and merry looking pom-pom snowmen out of it. Let the snowmen add some flavour of snowy place at your home! This is an adorable DIY idea for decor! Christmas merrymaking is incomplete without mouth-whiffing cakes and cookies. They are the main ingredients that dissolve in the hue of Christmas. This time ditch the eggs, and try this egg less cookies. Decorate it with colours and symbols that reflect the essence of Christmas! Christmas bells makes you anticipate for lot of gifts from Santa, family and friends. Take a look at these easy and vibrant gift wrapping ideas to make someone smile on Christmas. Draw, cut and paste these small little cute ideas and make it worth the effort! Who said ornaments are just girl thing? 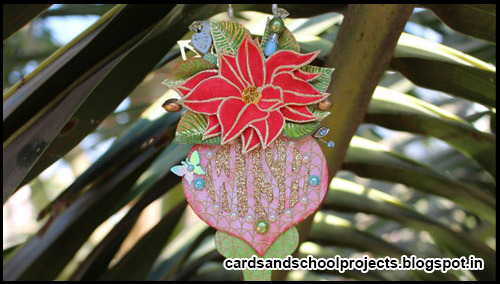 You can splendidly adorn your home with this Poinsettia that will make your Christmas decor even more interesting. Make use of sparkle and watercolours to create this Christmas jewel and speckle the corners of your home! Apart from Christmas tree, bells and stars, create these laced tags and use it for gifting. 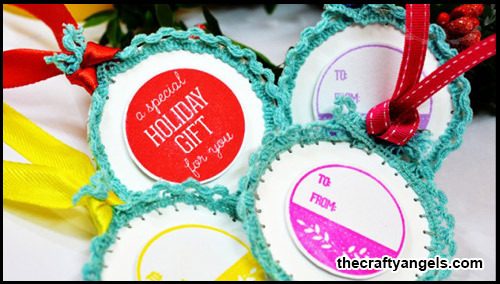 You can also add some festive message to these tags to fulfill its purpose more aesthetically. Make Christmas even more merrier and overwhelming using these laced tags! Who said rangoli is just Diwali thing? 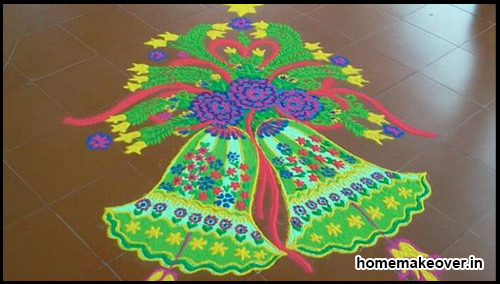 This time of the season, beautify your home with these impeccable rangoli designs and make everyone go gaga. Rangoli depicts celebration of an occasion in vivid hues also bringing prosperity. Utilize this art even for Christmas and let your decor look even more vibrant! For a change, set aside all the paper crafts and make use of veggies and fruits to decorate your dining with these mind-boggling ideas. 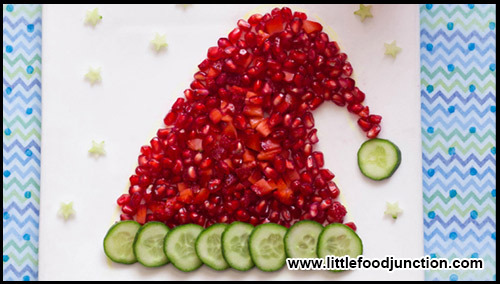 Create a Santa cap using pomegranate and also Christmas tree with Cucumber. Let your art speak a different festive tone this season! This time no need to visit the market for expensive decor items. 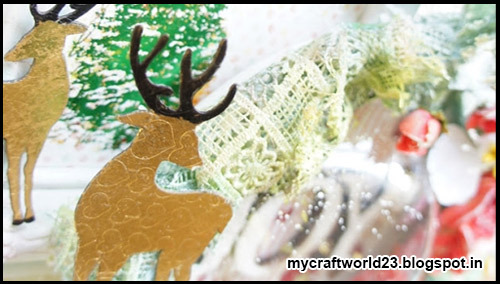 Use the paper craft art and relish this merry time. All you need is just prima papers and craft goodies and you are all set to own the art stage. Try this for Christmas and bag in a lot of appreciation! Christmas jollification is not just about meeting, greeting and exchanging gifts. 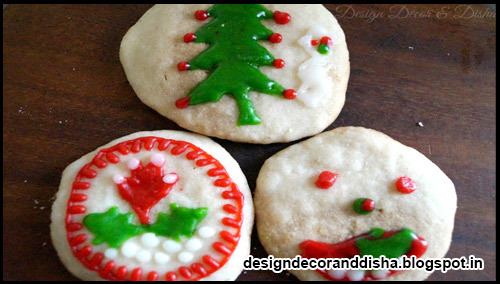 It is also about delicious mouth-watering sweet treat for Christmas. 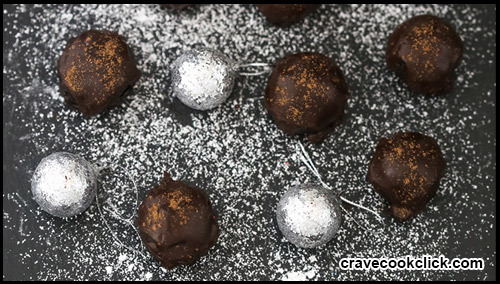 Try these rum balls recipe and create a perfect holiday treat for your loved ones. This one will definitely make you want more and more! What are you waiting for now? 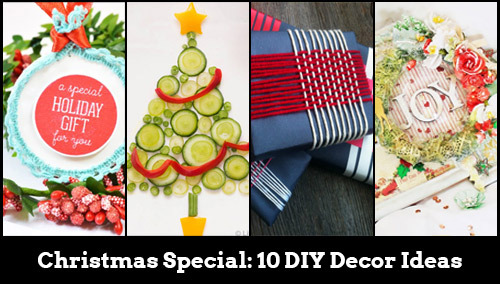 Get started with these 10 best DIY decor ideas and commemorate Christmas whole- heartedly. Let the glory of Christmas fulfill your home with peace, love and extravaganza. If you have any of your DIY decor ideas, share with us we would love to read and feature them! Useful content, thanks you bro!